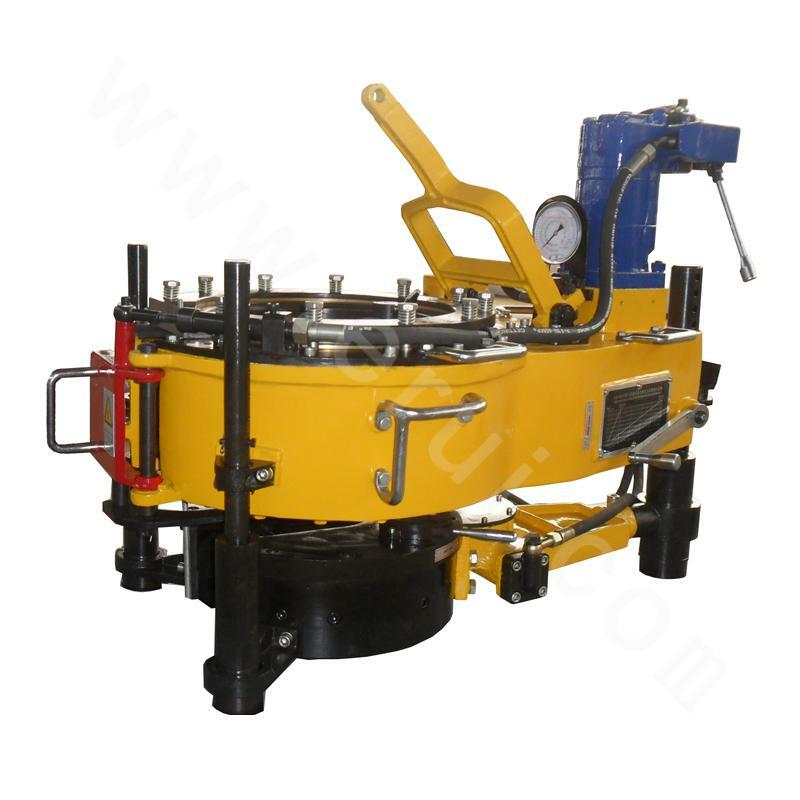 Hydraulic power tongs is a workover tool for mechanically loading and unloading screw threads through the power of the workover rig. The tool has remarkable strengths and is easy to use. The largest and most heavy workload of the workers in the process of workover are loading and unloading the screw threads of pipes and drilling tools. In the past, it was done with pliers or chain pliers, not only labor-intensive, but also dangerous. 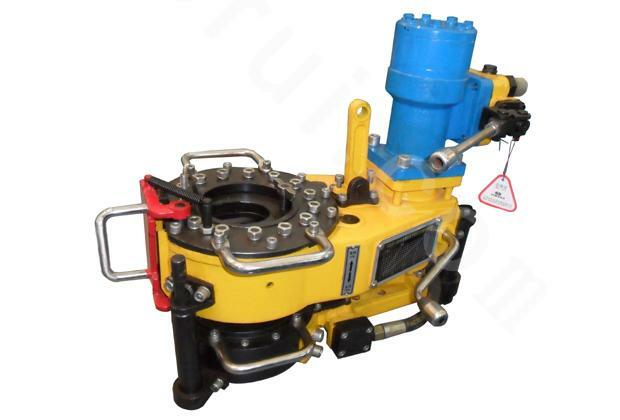 Hydraulic power tongs however uses the power of the workover rig to load and unload screw threads mechanically, which can greatly reduce the labor intensity of the workers and avoid or alleviate the occurrence of injuries. At the same time, it can enhance the torsion of pipes and drilling tools to reduce accidents. 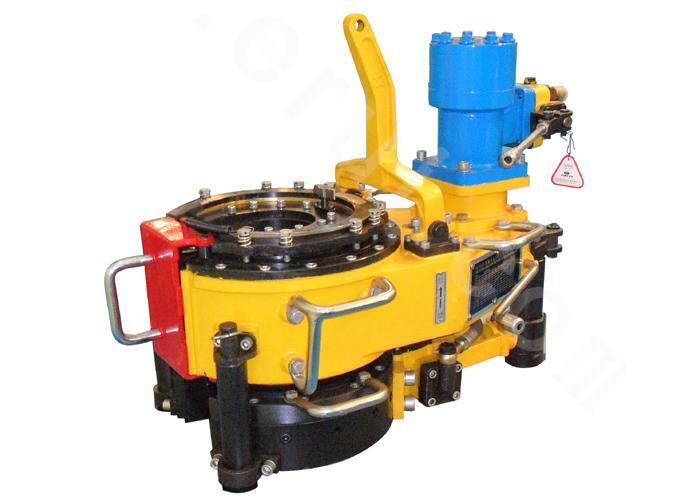 The working principle of the hydraulic power tongs is that the power of the workover rig is transmitted to its hydraulic motor, which through the travel reducer and then being decelerated by two stages or one stage, makes the open gear at the head of the tongs rotate to produce high and low speeds, further driving the pipe (drilling tool) to rotate. When the open gear rotates, the plate rack remains immobilized under the braking action of the brake hammer, so that there is a relative movement between the open gear and the palatal plate rack. 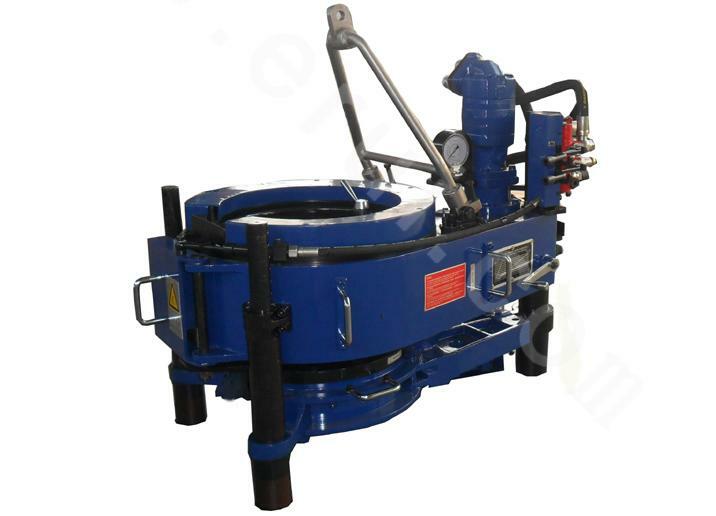 In this way, the two rollers of the palate plate will climb on the ramp and force the jaws on the crotch plate to move towards the center of the pipe (drilling tool) till it snaps on the pipe (drilling tool) and then engages the open gear to drive the pipe (drilling tool) to rotate. 2. Low-gear maximum torque: 1.8-40 (kN.m).